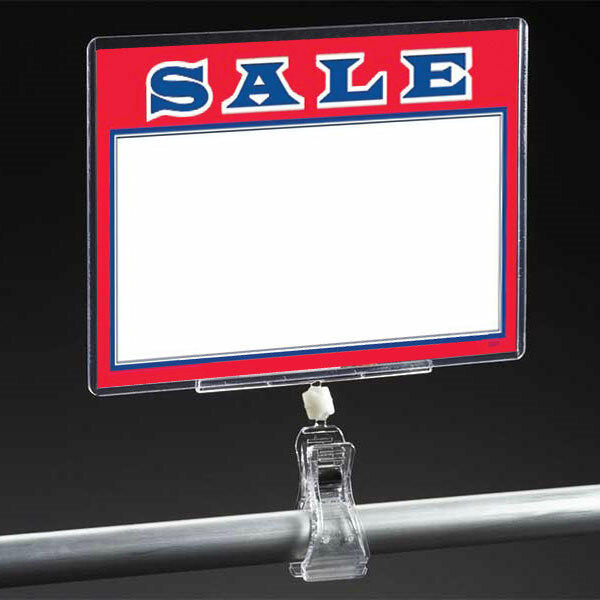 Clip on Sign Protector has universal knuckle that holds signs at almost any position. Clips to fixtures up to 1 1/8 in. thick. Displays material up to 1/32 in. thick.